Head down, I am in the middle of a rewrite, working out some issues with the structure of the novel. I shifted some pieces around about a month ago, and it changed up some real-life facts. The timeline shifts solved other issues, eliminated flashbacks and some "telling" to fill in the gaps - all important. Still feels like the right thing to do. Last year about this time, I was struggling with POV, shifting verb tense and narration. Some big nuts and bolts to grapple with, and it felt overwhelming, but necessary. Solving for voice cleared the way for new variables to surface. Revealed the equation, so to speak. Solve for y; substitute, and solve for x. 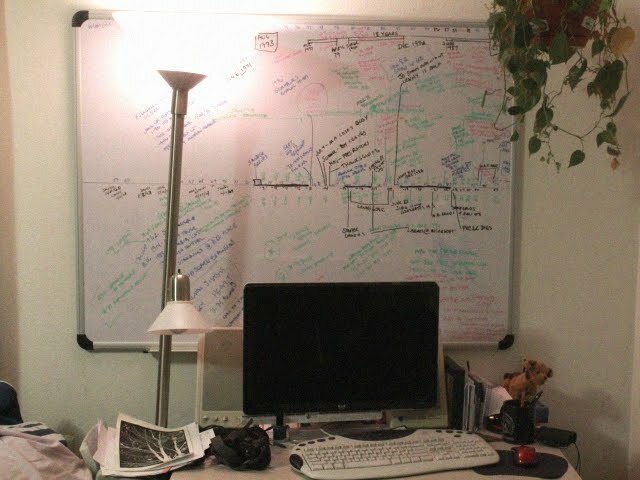 The original novel timeline is mapped on a whiteboard over the desk in my home office. 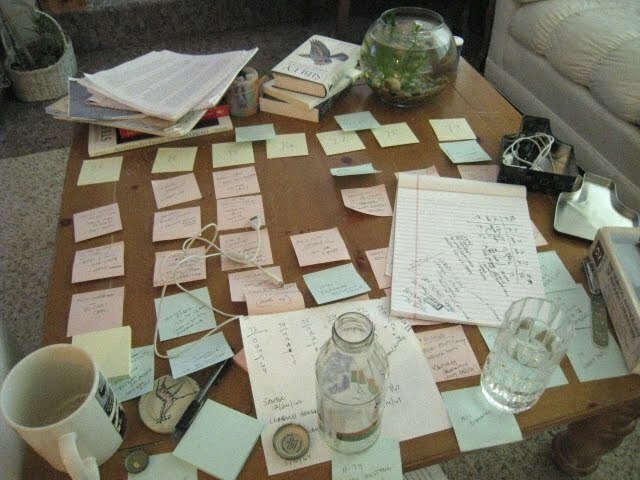 The most recent working timeline is a flexible set of post-its stuck to the top of my coffee table. 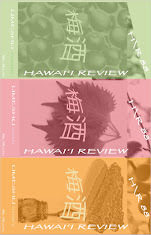 I posted one version to my Facebook page the other day; this one is today's iteration. Note the bare space in the center. That's the transition to the start of 1976, still missing. If I have learned anything, it's to trust the process. Keep writing forward. The missing post-its will appear; the stuck points will resolve. The human mind is an amazing place of relationships, connections and story. The other thing I know is that for every decision I make, another writer out there will make the exact opposite one. I attended a fabulous session of the Tin House conference on Friday, disagreed completely with the presenter's evaluation of a Barry Lopez piece, and came away with some valuable perspective about my own plot structure. All hail diversity. Today's morning trip to the grocery for toilet paper, milk and potato chips solved a piece of dialog. If I had a sign, I suspect I would have to wear it 24/7, taped to my forehead: Writer at Work. "I think," said Anna, playing with the glove she had taken off, "I think...if so many men, so many minds, certainly so many hearts, so many kinds of love."